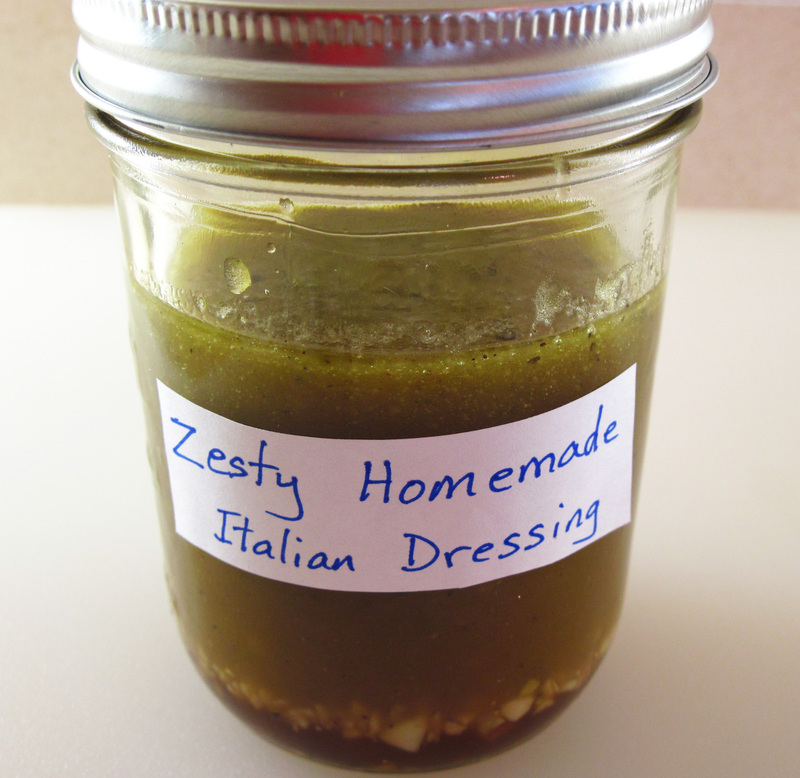 I have made this Zesty Homemade Italian Salad Dressing several times. I like it so much that I decided it’s about time I shared it. The recipe is from one of my favorite blogs, Jennifer Segal’s Once Upon a Chef. Her blog features foolproof, family-friendly recipes that are right up my alley. I usually can’t resist tweaking recipes a bit, adapting them to suit our tastes. 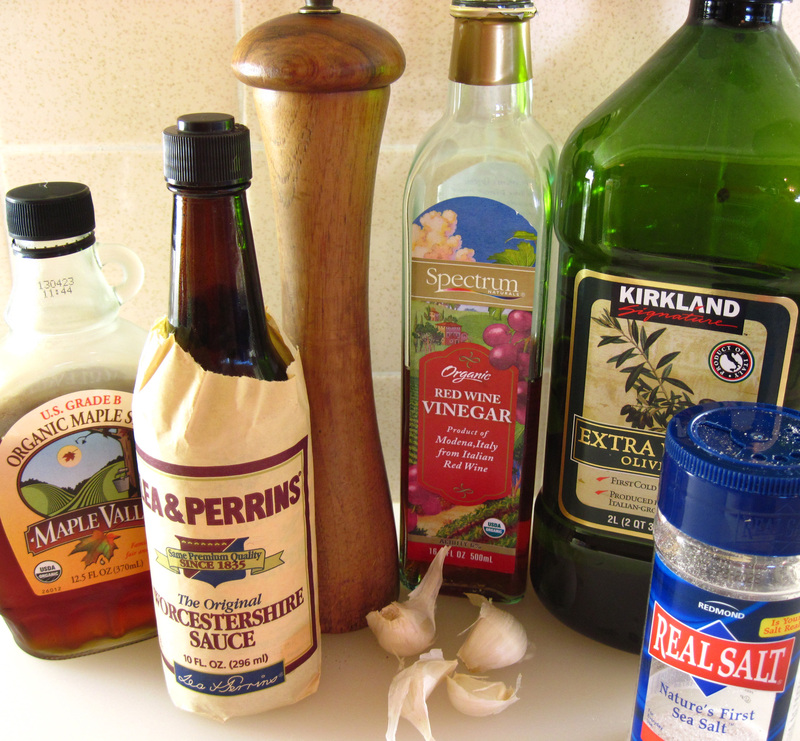 But Jennifer’s Zesty Homemade Italian Salad Dressing is perfect just the way it is. And it couldn’t be easier to make. Just put all of the ingredients in a jar, shake it up, and it’s ready to go. Keep any leftover dressing in the refrigerator. 1. Put all of the ingredients in a jar and shake it up. 2. Store leftover dressing in the jar in the refrigerator. You will need to shake it before each use to re-emulsify the dressing. I made a simple salad consisting of spinach, tomatoes, radishes, and red onions and tossed it with some of the salad dressing. 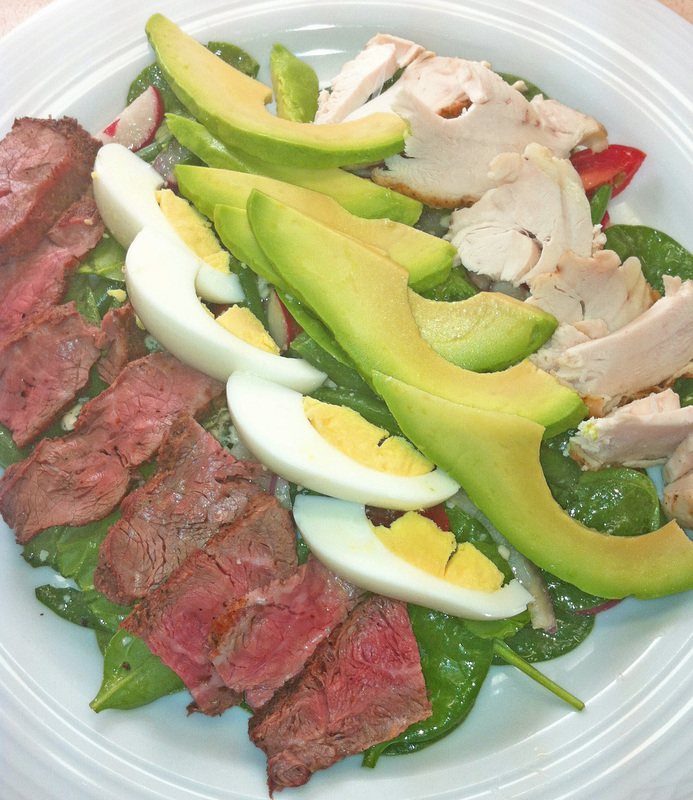 Splitting the salad between two plates, I then topped them with leftover steak and chicken, a hard boiled egg, and slices of avocado. It was a great meal for a warm summer evening!